Are you considering a vegetarian diet for yourself or your family? Wondering if it's safe and how you'll get the right amount of nutrients? 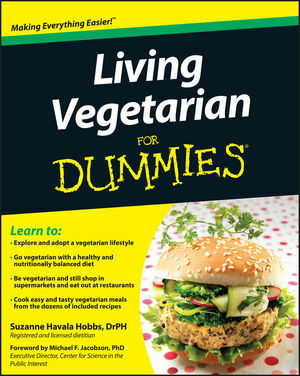 This authoritative guide has all the answers you need about living vegetarian, featuring healthful advice as well as delicious dishes involving vegetables, fruits, grains, and dairy. Inside you'll find expert advice on adopting a vegetarian lifestyle, from creating a vegetarian shopping list and understanding the nutritional aspects of vegetarian eating, to using the right cooking supplies to vegetarian etiquette, eating out, and converting a kitchen-and your family's mindset-away from meat. You'll discover how to make it work when you're the only member of the house who is vegetarian, as well as how to support a family member, including a child. 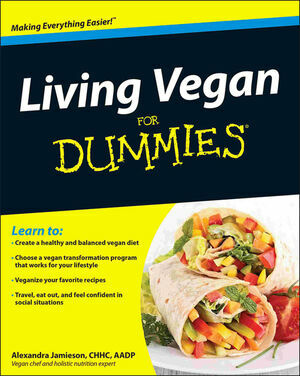 Whether you're a long-time vegetarian or just starting out, Living Vegetarian For Dummies, 2nd Edition is your guide to evaluating and enjoying a meat-free lifestyle. Suzanne Havala Hobbs, DrPH, MS, RD, a vegetarian for more than 30 years, is a registered and licensed dietitian, an editorial board member for Vegetarian Times magazine, and a nationally recognized author on issues relating to food, nutrition, and health policy. She is also a clinical associate professor at the University of North Carolina's Gillings School of Global Public Health.